On Saturday, while B was at a family function, NHL and JSL asked if they could play Nintendo Wii with me. I agreed and tried to think of a game that would be good for JSL to play. He doesn’t quite get the game controls all the time and this can frustrate him. 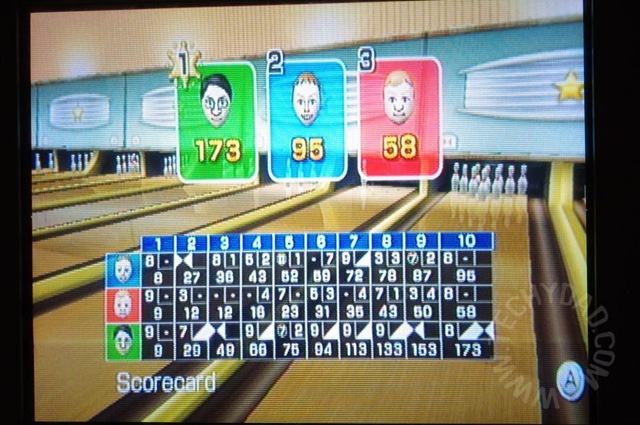 That’s when I remembered Wii Bowling. 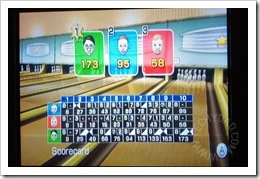 When we got our Nintendo Wii, back in 2007, Wii Sports was the first game we played. It was, after all, included with the console. I’ve loved bowling since I was a kid so I took to the bowling game right away. NHL, then 4 years old, had some initial difficulty with the controls but soon learned. Pretty soon, he was bowling scores that he couldn’t get in a real bowling ally with bumpers on! Fast forward to Saturday. I located the Wii Sports disc and loaded up Wii Bowling. I explained to JSL how to bowl and off we went. JSL, understandably, had a lot of trouble. He got frustrated quite a few times, but kept at it. In the end, he bowled a 72. NHL, meanwhile, stunned me. 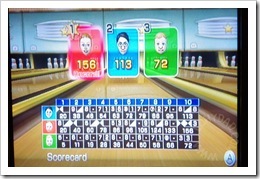 While I bowled a respectable 113, NHL crushed me by bowling a 156! That’s ok, though. The next day, we had a rematch. JSL didn’t fare as well, dropping to a 58. NHL also dropped to a 95. I, however, increased my score to a 173. I don’t think I need to worry about being beaten by NHL just yet, but he’s improving rapidly. By this time next year, he might just be beating me regularly. And, if he is any guide, I don’t have many more years of being able to beat JSL. 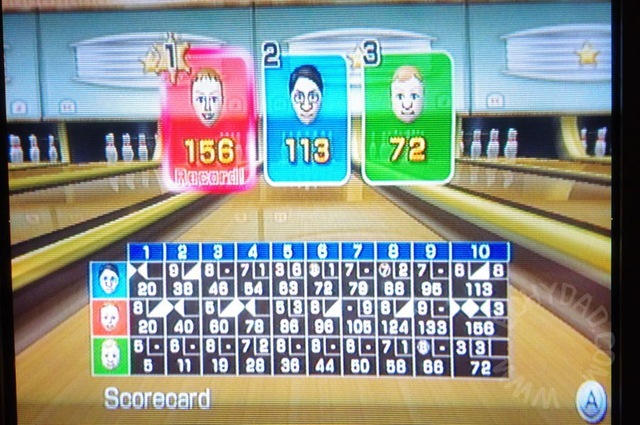 Five years from now, I might be posting about how we dusted off the old Nintendo Wii and both of my boys beat me at Wii Bowling. This game is one of my favorite game for wii.